Carey Mulligan as Rosemary Woodhouse: Now, Rosemary was quite a difficult role to choose because it is hard to top Mia Farrow's portrayal. But then I thought of someone who could not only bring her own take to the character, but bears a similar resemblance to Mia Farrow. That actress is Oscar-nominated British thesp Carey Mulligan, who you may know as Daisy in the new The Great Gatsby (a role originally tackled by Farrow in the 1974 version) and from 2011's Drive. I'd say give her the short Rosemary haircut and she's good to go. Bradley Cooper as Guy Woodhouse: Onto another role that was difficult to pick, Rosemary's husband Guy Woodhouse, which was originally played by John Cassavetes. If they were to do a remake, my pick would be Bradley Cooper. He may be a little older than Mulligan is, but I feel that he could bring a special kind of sleazy charm to the role of the conniving husband. He may have played scumbags before in the past, but those are nothing compared to this character and it would be interesting to see what he could bring to this villainous role. Jacki Weaver as Minnie Castevet: Now onto the villainous neighbor from hell Minnie Castevet, originally played by Ruth Gordon, who won an Oscar for her portrayal. If there is anybody that I think could really fill her shoes, it is Aussie actress Jacki Weaver. Those of you that have seen her performance in Animal Kingdom know that this chick can go dark with ease. Minnie may be another sweet-looking old lady with sinister intentions, but I would imagine Weaver could play Minnie differently and owning the screen. Max Von Sydow as Roman Castevet: Next is the role of Minnie's husband Roman Castevet, originally played by Sidney Blackmer. My cast pick for the role would be Swede legend Max Von Sydow. It isn't just because he is old enough, but because he played the heroic Father Merrin in the original Exorcist and since the character Roman is a devil worshipper, it would be interesting to see him flip the coin and switch sides by going bad. Stellan Skarsgard as Dr. Sapirstein: Next is the role of the scheming doctor Dr. Sapirstein, originally played by Ralph Bellamy. 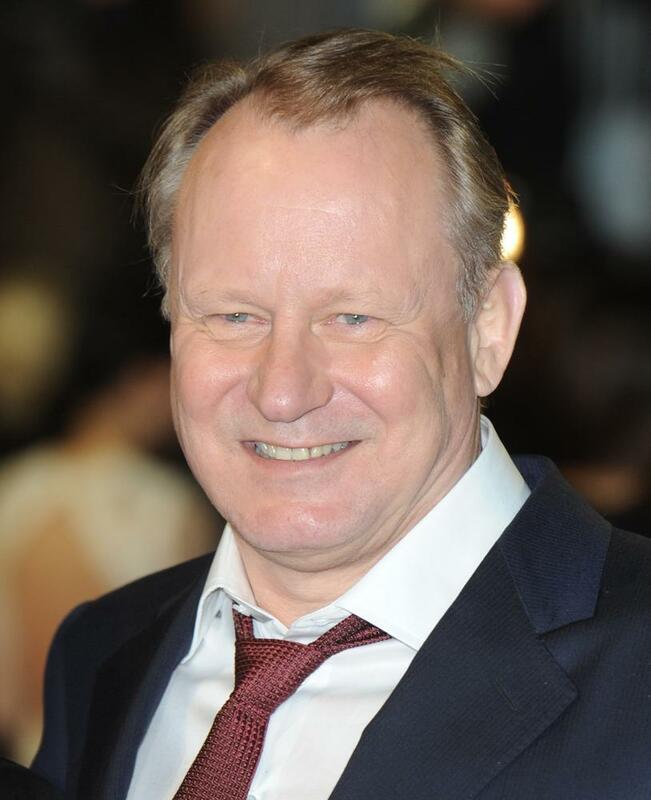 My personal choice for the role would be Swedish character actor Stellan Skarsgard, who you might know as Robin Williams' former college buddy Professor Lambeau in Good Will Hunting, or Dr. Erik Selvig in the Thor movies or Martin Vanger in The Girl With The Dragon Tattoo. Plus, he is one of auteur Lars Von Trier's regulars. Dr. Sapirstein may be a relatively small role, but because Skarsgard is so good at playing villains, I could see him leaving an impression by bringing an enigmatic quality to the character. Jeff Bridges at Hutch: Now onto a more light-hearted role. That role being Rosemary's old pal Hutch, originally played by Maurice Evans. Hutch is one of the film's more sympathetic characters in the film and I figured that I'd go with someone who I feel could play the older man you'd want on your side, so I went with Jeff Bridges. He may have played bad guys in the past, but he's played his fair share of good as well. Sally Hawkins as Terry: Lastly is the much smaller role of Terry, a woman that the Castevets took in before her death, originally played by Angela Dorian. Like I said, Terry is a smaller role, but I went with a casting choice because I am such a fan of this actress that I just chose her. That actress is Ms. Sally Hawkins, who you may know from Happy-Go-Lucky and her Oscar-nominated work in Blue Jasmine, as well as her role in the new Godzilla. To me, she is one of those actresses that, no matter how big or small role is, always manages to leave an impression and if she were to play a small role like this, it would be no different. 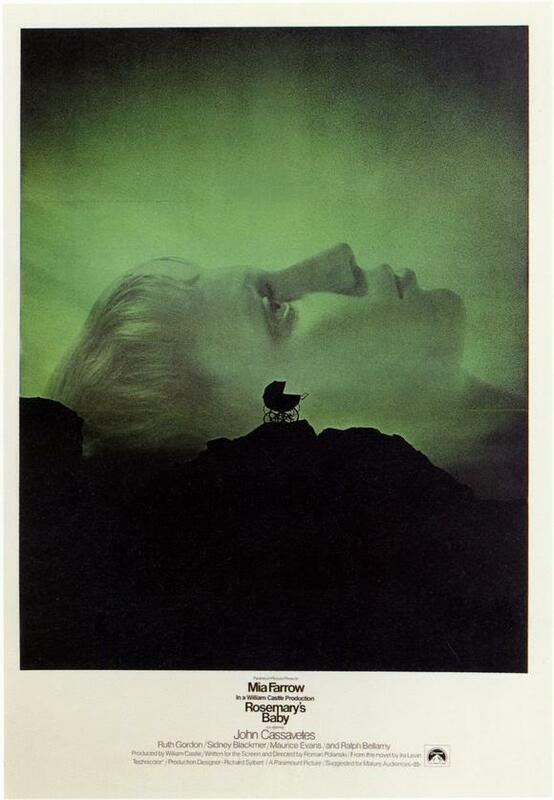 So those were my casting picks for a potential or hypothetical remake of Rosemary's Baby. If you agree or disagree with my choices or would like to add your own, please feel free to write in the comments section. Thanks for reading!